On October 17, the United Nations once again observed the International Day for the Eradication of Poverty. Although the day received scant attention particularly in industrialized countries, its observance was actually first commemorated in France in 1987 (United Nations, 2015). Over one hundred thousand people gathered at the Trocadéro, the same location where the Universal Declaration of Human Rights was signed, to affirm that poverty was an unacceptable and preventable violation of basic human rights (United Nations, 2015). Surely, this was a time of great optimism and hope for the creation of a better future for everyone worldwide. At around the same time, the global neoliberal economic order had begun to emerge. This now ever-present policy framework was touted by fiscally conservative world leaders such as Margaret Thatcher and Ronald Reagan as the only way forward for international politics and relations (Roy, 2000). With the new global order came the promise of elimination of poverty through a process termed “trickle-down economics” (Greenwood and Holt, 2010). The proponents of neoliberalism admitted that inequality was a necessary part of capitalism, but rationalized that gross inequalities would be resolved through market forces and money would ‘trickle-down’ from the wealthy to the poor, leaving everyone better off and few, if any, impoverished (Greenwood and Holt, 2010; Scholte, 2005). By the late 1980s the policies were in full swing, the International Day was established, and belief in a fair and just future for all didn’t seem so unreasonable. According to Scholte (2005), despite the unfettered optimism espoused by neoliberal proponents, world poverty has not been even remotely close to eradicated. In fact, that author notes that certain regions of the world have faced more severe destitution than ever before under the neoliberal order, including nations in Asia, Latin America, and Africa. According to the 2014 Human Development Report by the UNDP, nearly 1.5 billion people living in 91 developing countries still live in extreme, multidimensional poverty. And while neoliberal supporters could point to data that suggests world poverty has decreased overall (such as the 2013 UN Millennium Development Goals Report), this does not mean that gross inequalities have become less significant. Greenwood and Holt (2010), have suggested that the neoliberal promise of wealth trickle down has not come true and has instead resulted in the wealthy retaining and increasing their wealth and the impoverished remaining impoverished. Similarly, Nkansah-Amankra, Agbanu and Miller (2013) found that poverty, poor health and incarceration were especially prevalent among disadvantaged racial and ethnic minorities in the United States, symptomatic of an economic order that is culturally hegemonic. By their account, the neoliberal order creates and exacerbates structural inequalities that serve to greatly privilege one small group of people, namely the prominently influential ‘one percent’, a practically homogenous group consisting primarily of white, heterosexual, middle-aged males. This small group of wealthy individuals has now accumulated 50% of the total global wealth according to a recent report (Tonkin, 2015), and logically speaking if one group continues to increase their share of the total wealth, other groups must be losing their own shares of it. Neoliberal economics have largely fuelled this increasing disparity in wealth and have made it ideologically acceptable to many. However, if the wealth is not trickling down as Greenwood and Holt have argued it isn’t, inequality and relative (if not absolute) poverty may increase globally as the ‘rich get richer and the poor get poorer’. October 17, 2015 marked the 28th anniversary of the International Day for the Eradication of Poverty. It has been nearly three decades of the vaunted neoliberal economic order, and poverty has not yet been eradicated. While some believe that neoliberalism can be reshaped to achieve this lofty goal (e.g. Stiglitz, 2002), others believe that a different, more fair and equal economic order is needed. Perhaps by October 17, 2016, we will have some clearer answers. There are billions of people across our global community in dire need of them. Roy, R. K. (2000). The neoliberal paradigm shift in the U.S. and Britain: Fiscal policy convergence under Mr. Reagan, Mrs. Thatcher, Mr. Clinton, and Mr. Blair. Dissertation Abstracts International, 60, 4590-4785. Stiglitz, J. (2002). The promise of global institutions. In Globalization and Its Discontents, pp. 3- 22. New York: W. W. Norton & Company. The Syrian Refugee Crisis: Global Community or Global Incongruity? According to Seta Kabranian-Melkonian (2015), a researcher at the University of Alaska, the number of refugees and internally displaced people is continually rising all across the world. In Syria alone, the United Nations Office for the Coordination of Humanitarian Affairs estimates that the refugee crisis there entails 12.2 million people in need of humanitarian assistance. Although Syria is not the only area with an increasing number of displaced persons, the actions of terrorist faction ISIS in that region have made it one of the most active areas in terms of violence against innocents. With this influx of people desperately in need of assistance, many countries particularly in the European Union (EU) have taken on the onus of assisting the millions of people displaced by this conflict. Or have they? Many citizens in the European Union are deeply divided on whether or not accepting refugees is a meritorious use of state resources. Leaders of nations are equally as divided (Investor’s Business Daily, 2015), and in particular, Hungary has refused to acquiesce to the EU’s plans for compulsory migrant quotas on the ideologically driven position that multiculturalism has been a failed experiment in Western Europe, and this has been coupled with the vague notion that “Christian Europe” is now under serious threat (Freeman, 2015). It is not surprising to learn that millions of people in need of humanitarian assistance identify as Muslim, and religious ideological differences seem to be a key point of serious contention in the refugee debate not only in Europe, but also in North America. For instance, nationalistic fervor has erupted in the United States, with panic ensuing that refugees have the potential to, and are motivated to, “…change the way of American life” (Fausset, 2015). Of course, post-9/11, the rhetoric of Islam threatening the championed concept of ‘American life’ has been strikingly pervasive. It is this particular global issue that has, in my view, necessitated a closer examination of the philosophy of cosmopolitanism. Put simply, according to Martha Nussbaum (1994) this view stresses that we are all first and foremost citizens of the world, not merely of our particular nation-state, and that we are all equally worthy of a particularly high degree of respect and consideration. In her article, Nussbaum cautioned against the potential for patriotic nationalism, now deeply ingrained in many citizens of Western nations, to become ‘politics of difference’; in other words, she posited that nationalist sentiments could potentially lead to the outright rejection of the humanity of those who do not live in a particular nation-state. The truth of this warning is perhaps nowhere better evidenced than in nations with a strong anti-refugee stance. Pondering on the Fausset article, just what is the “way of American life”? Ostensibly, it is a way of life that emphasizes a particular set of local values and privileges the holders of such values above others in the human community. I have not focused on specific developing countries, but my observations above are as equally applicable in the context of Africa. 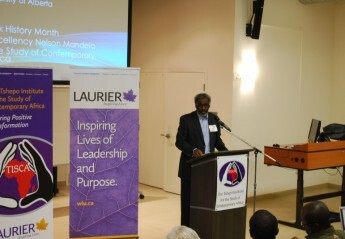 At a recent conference in Toronto on nationalism and development in Africa, the noted Congolese scholar Georges Nzongola-Ntalaja issued a passionate plea for a cosmopolitan approach to the world’s ongoing refugee crisis. Among other things, Dr. Nzongola-Ntalaja believes very strongly that all states should welcome political and economic refugees with open arms (and residency permits). In my view, the cosmopolitan viewpoint is becoming progressively relevant and important in a world that is characterized by what Manfred Steger (2003) termed ‘globality’. The refugee crisis is merely one instance of the increasing necessity to view others on earth as equally worthy of our respect and consideration as those in our own country. As it stands, there are many people worldwide that direly require our compassion and assistance. Their very lives depend on it. And it is only by embracing the sort of morality that does not privilege one life above another, the sort of morality that more or less equally values every member of the human community, that they can be protected in their time of need. Nationalism and ethnocentrism of the sort that exist now preclude the alleviation of the horrible injustices facing so many of our fellow human beings at this very moment. Fausset, R. (2015, September 25). Refugee crisis in Syria raises fears in South Carolina. The New York Times. Retrieved from http://www.nytimes.com. Freeman, C. (2015, September 26). Hungary to EU: migrant quotas will repeat Western Europe’s ‘failed’ attempts at multiculturalism. The Telegraph. Retrieved from http://www.telegraph.co.uk. Investor’s Business Daily (2015, September 24). Europe still split on migrants. Investors Business Daily. Nussbaum, M. (1994). Patriotism and cosmopolitanism. Boston Review, XIX (5), 3-16. Steger, M. (2003). Globalization: A very short introduction. Oxford: Oxford University Press. United Nations Office for the Coordination of Humanitarian Affairs (2015). Syrian Arab Republic. Retrieved from http://www.unocha.org/syria.